Smart and efficient utility management tools can help manufacturers control and optimize water, air, gas, electricity, and steam (WAGES) usage. This reduces OPEX, and consequently, production costs. At LTTS, we understand that plant managers require best-in-class data and dashboard solutions to adequately track on-floor situations. Our WAGESAPP is a cloud-based utility usage monitoring solution, specifically designed to help collect data from across locations, and visualize them as KPIs through a unified dashboard. The solution can also be customized for popular WAGES programs, enabling forecasting and load profiling. We helped an F&B major reduce global energy consumption by 3%, across 35 plants in 13 countries, generating millions in savings, with our next-gen WAGES solution. We offer deployment tailored to both hybrid and discrete manufacturing industries, ensuring sustainability and cost savings. WAGESapp&nbsp;reflects LTTS’ focus on resource conservation, reducing carbon footprints while saving energy. We provide a global, cross-plant KPI view via WAGESAPP, our solution that’s approved GA by Microsoft. Save energy, save consumption costs, save the environment from the manufacturing sector’s rapidly increasing carbon footprint. Can ‘Plant Engineering-as-a-Service’ mitigate on-floor accidents? 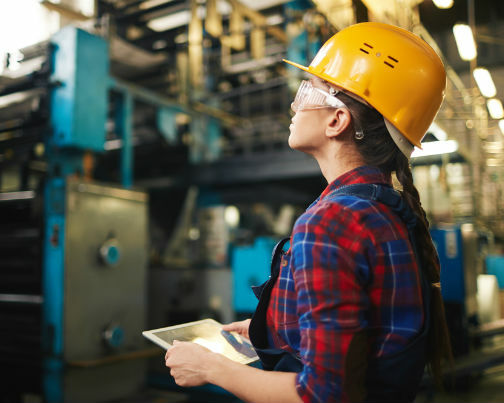 Explore a connected, more intelligent alternative to today’s fragmented manufacturing ecosystems. With the US manufacturing industry responsible for 21% of the country’s carbon footprint, it’s time to look at new, more efficient models for WAGES consumption.